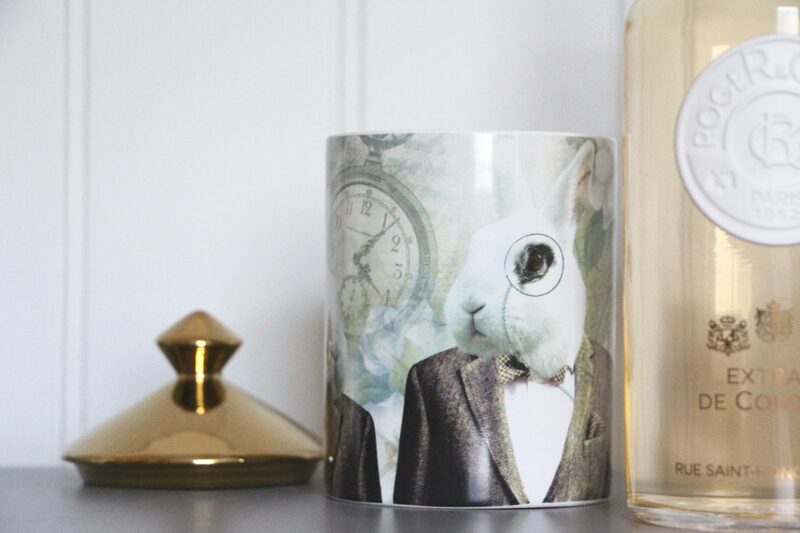 Anyway it’s all very Alice, this penchant of mine, and the collection keeps on growing – oversized glass decanters, candles with rabbits on and tiny little tins containing tiny little soaps. 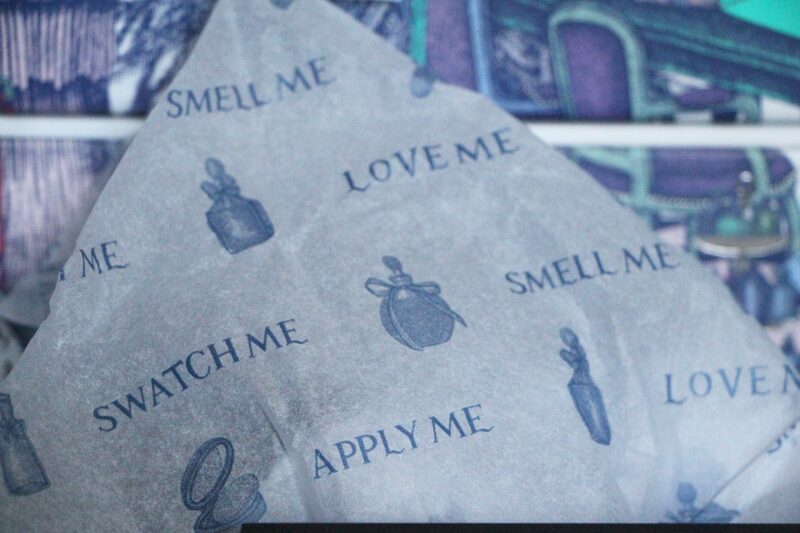 Curiouser and curiouser. 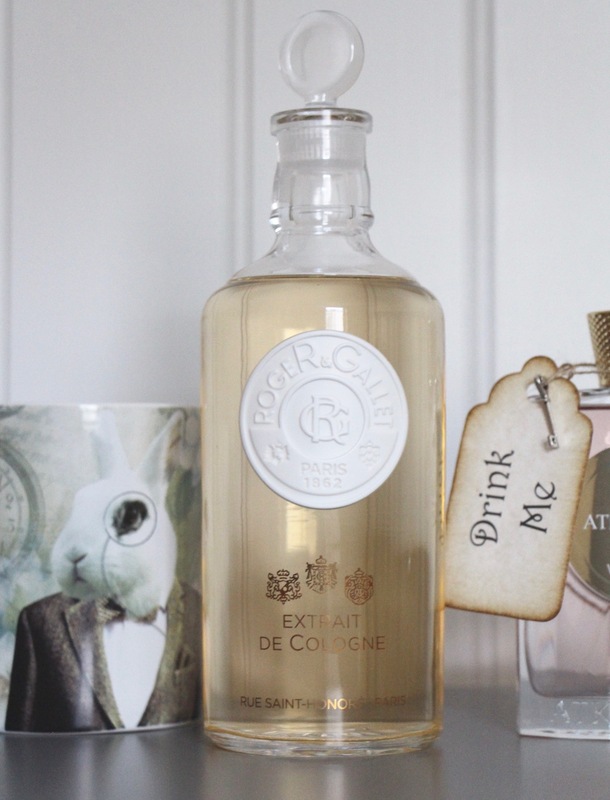 This preoccupation with all things quirky started with the arrival of Roger & Gallet’s new Extrait de Cologne*, which comes in a whopping great big 500ml bottle. 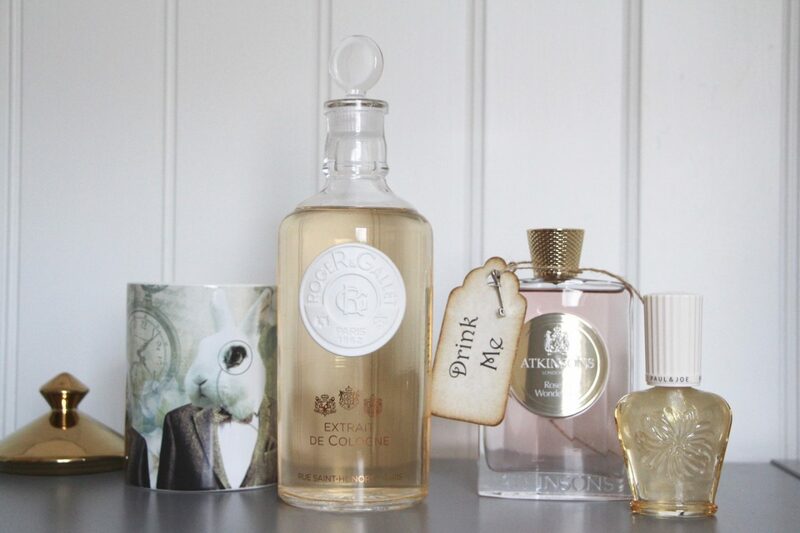 It really is quite impressive, dwarfing all other perfume bottles in my collection, and I love the stopper in the top and the label that looks a bit like a wax seal. There are a few different Extraits in this collection, each created by a different perfumer, but Neroli Facetie is my favourite – orange flower, neroli, ylang ylang and vetiver, it’s just so uplifting and joyful. It’s a cologne, so relatively light and designed to be worn liberally – good job, seeing as though the only way to really get it out of this bottle is to pour a bit and splash! It’s £149 for 500ml – sounds scary, but is actually quite amazing value for money, when you consider that it’s around 30p per ml, whereas the standard size bottle works out at nearly £1 per ml. Find it here* at Feelunique. The preoccupation with everything “Alice” continued with the brilliantly-named Sir Hoppingsworth candle from Ashleigh & Burwood. I discovered it through British Beauty Blogger – Jane had featured a different version (equally lovely) with a flamingo design. The Hoppingsworth candle smells like an old country house – leather and wood and roaring fires – and the design on the outside is fabulous, I think. Fits right in with my Wonderland theme. 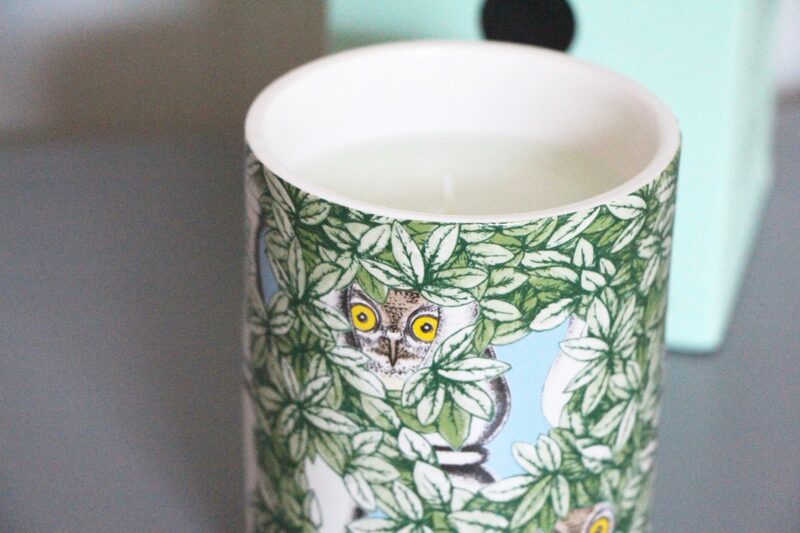 It’s £38 online here – once the candle has had its day, I’ll most definitely be using the jar to store things in. 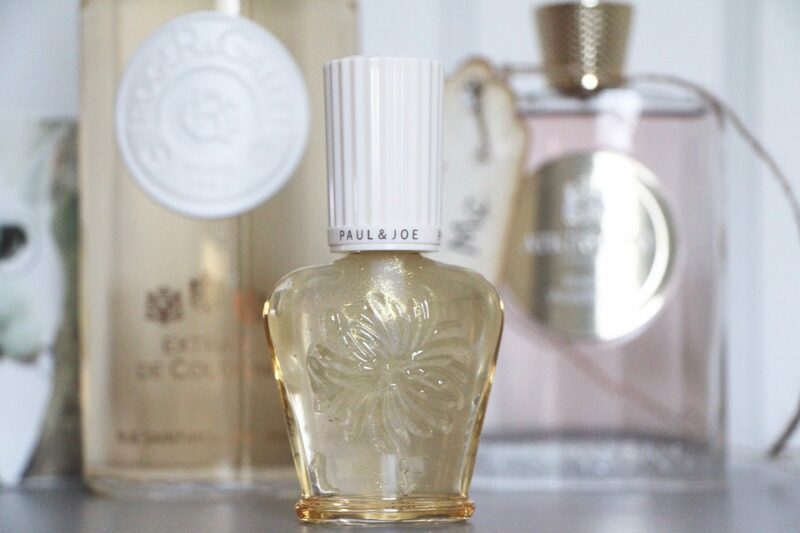 My Wonderland theme reaches something of a peak when it comes to Paul & Joe beauty. 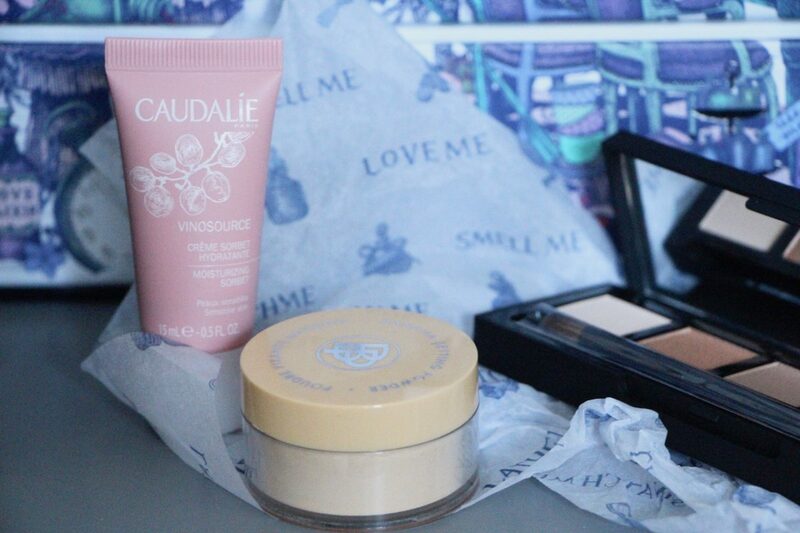 Paul & Joe have always had the most delectable packaging in their beauté range. Only they would present a humble eye makeup remover in a bottle that’s worthy of a fine fragrance*. You can find Paul & Joe Beauté online in the Amazon Luxury Beauty section here* – almost everything they sell is perfect gift-giving material, if you’re on the hunt for presents. 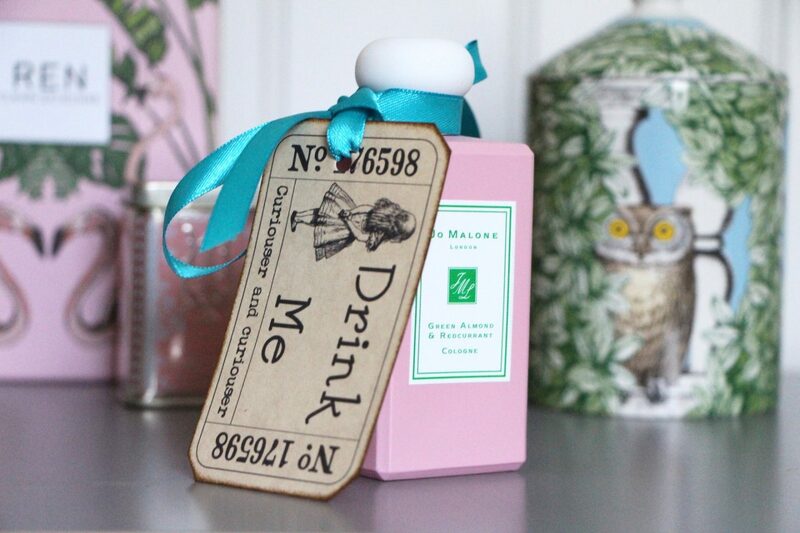 Finally, in my first little Alice in Wonderland collection, a perfume that could not have been more aptly named: Rose in Wonderland. 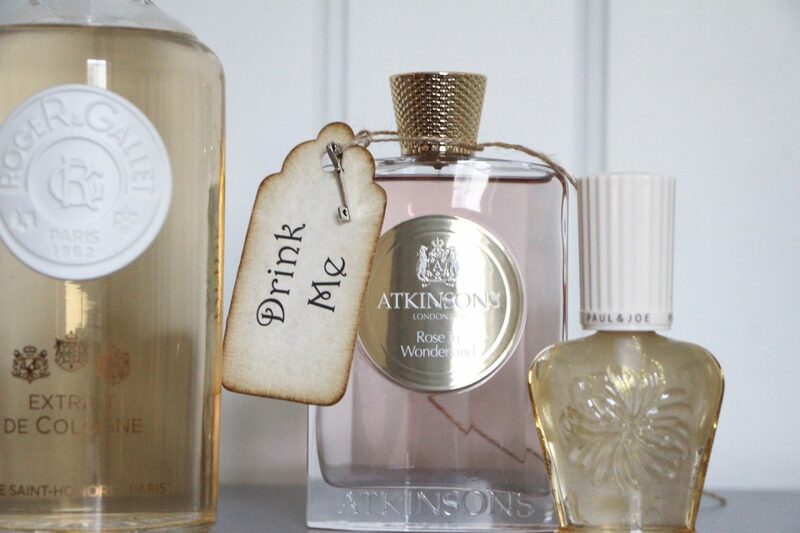 It’s by Atkinsons and you may remember that I reviewed their Love in Idleness fragrance not too long ago – that one was a naughty, playful violet and this one is (unsurprisingly) rose-based. It does have a hint of geranium, but it’s prevented from touching anywhere near “old lady” territory thanks to a hefty shot of fruity blackcurrant and a warm, powdery base. You can find it at Escentual here* – it’s £120 for a heavy, hip-flask-esque 100ml bottle. More beauty eye candy. You can see that I’ve travelled to the sugar-coated end of Wonderland now, with some Pepto Bismol pinks, but it’s no less covetable. 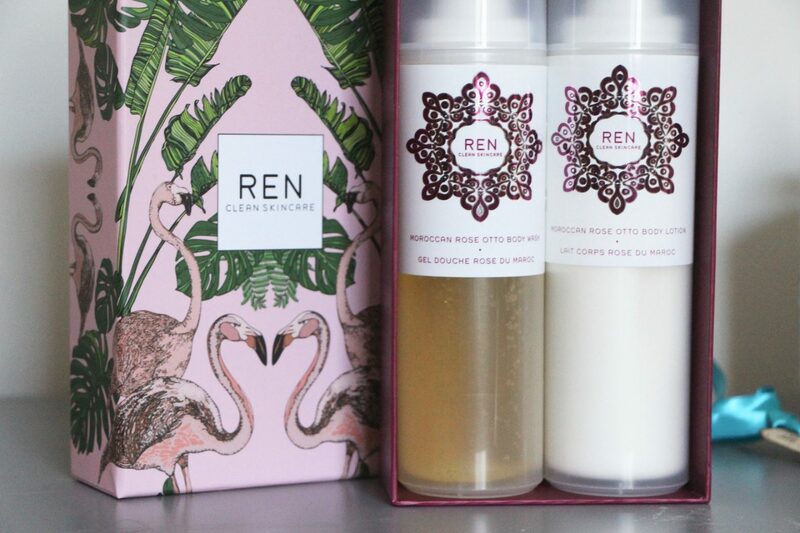 Take the REN Moroccan Rose Otto* gift set, for example, which has a limited edition box designed by Silken Favours. Silken Favours make fantastic clothes and homeware items with unusual prints (remember my shirt dress that had kittens riding unicorns?) and their designs for REN are really quite collectable. 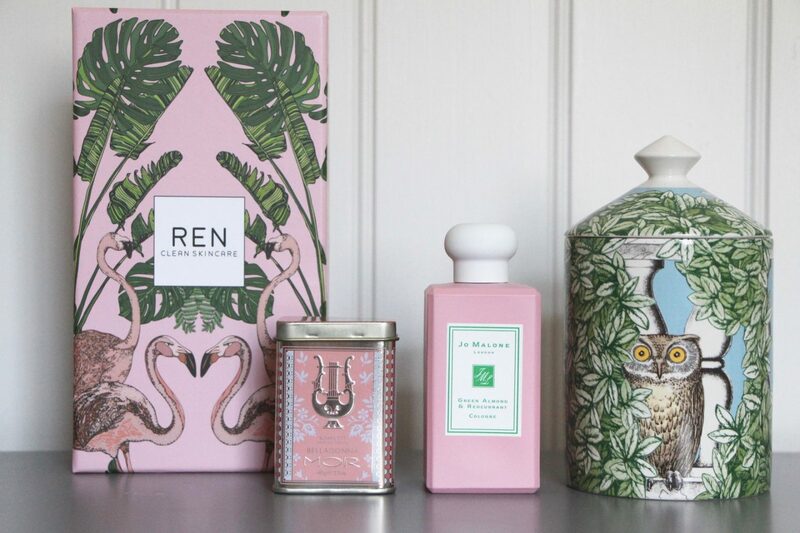 I’ve picked out this set because a) it has flamingos and b) the Rose Otto body wash is one of my favourite shower products. You can find this set at Feelunique here* – it’s £36. And then some teeny tins with sweet, scented soaps. 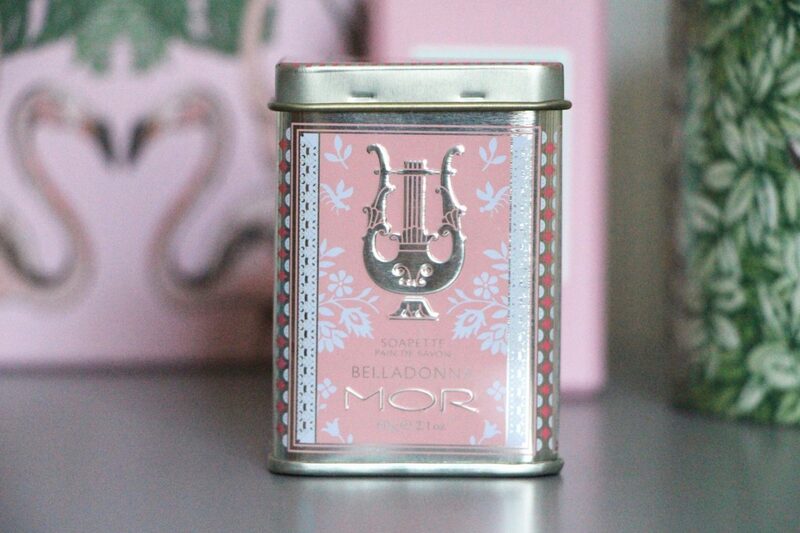 I’ve been eyeing up MOR soaps for years – they are always so nicely packaged, like little boxes of fine chocolate or expensive tea. This soapette-in-a-tin is £6, which I think makes it one of the best beauty stocking fillers that you could possibly buy. 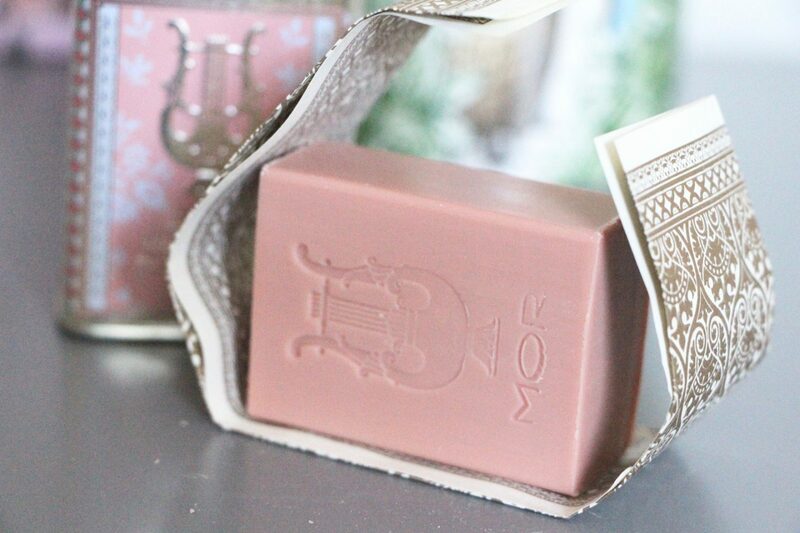 MOR’s attention to detail is impeccable, the soap is paper-wrapped and it all just feels like the very height of luxury. You can find the MOR soapettes at Feelunique here* – they also have larger soaps, paper-wrapped, equally delicious and they are £13 here*, if you fancy a look. 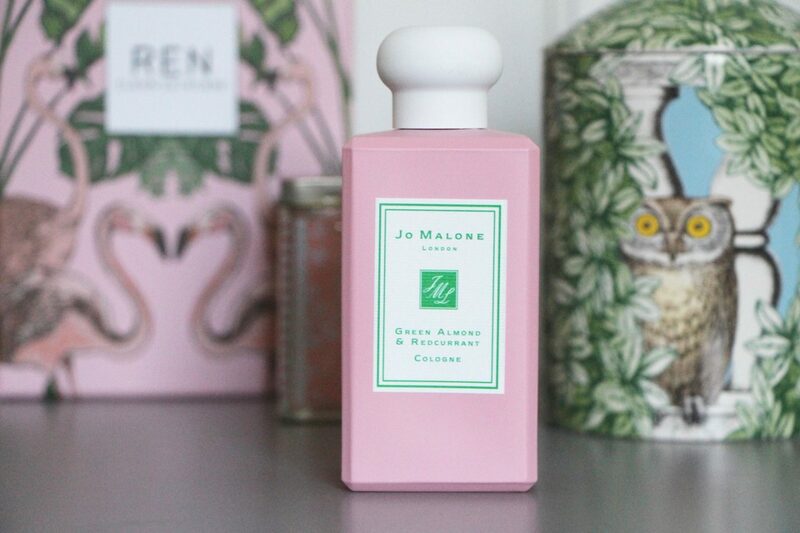 A special mention in my Wonderland must go to Jo Malone’s Green Almond & Redcurrant Cologne, which is their Christmas offering for 2017. Unusual, non-traditional bottle design, but I couldn’t love it more – matte, millennial pink with a matte white lid. Don’t touch it with dirty fingers! And then one for the true candle aficionado; Fornasetti’s Giardino Segreto is a piece of art for the home as much as a scent for it. 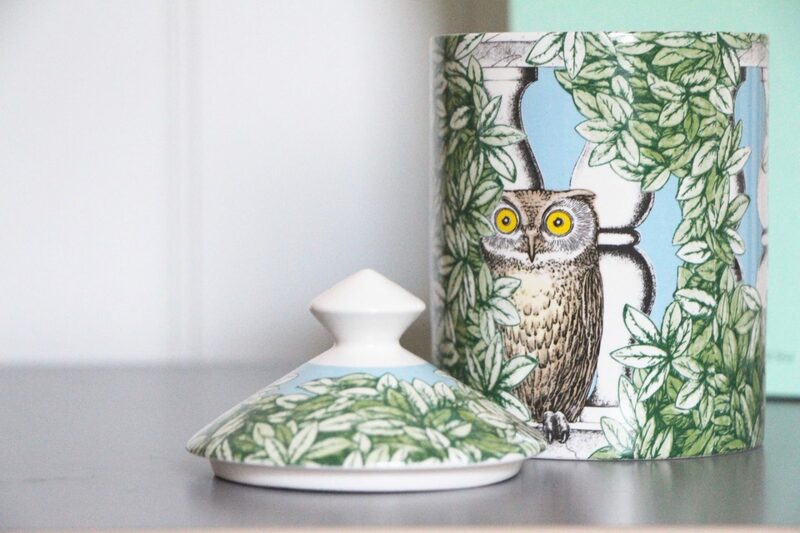 I must do a whole post on Fornasetti because some of the designs are simply iconic, but for now, be satisfied with the wise-looking owl in the garden. If you’re a little bit tired and smoked-out by the deep, dark, oud-y scents that are all the rage at the moment then be comforted that Giardino Segreto is as fresh and green and lively as fragrances get. Bergamot, thyme, vetiver, maquis – it’s like a stroll through a secret Italian garden at dawn. You can find Fornasetti at Amara here* and Selfridges here* – the 300g candle with lid is £140. One for the wish-list.. I almost signed off without showing you the Lookfantastic beauty calendar*, which was another thing that started off this whole Alice in Wonderland obsession! 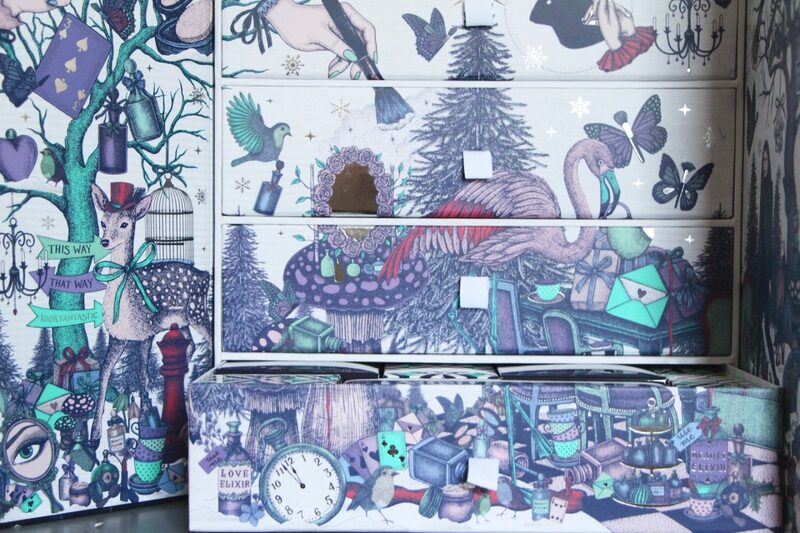 I think that they’ve done a marvellous job with it – a chest of drawers with beautiful artwork and loads of well-chosen beauty gifts boxed up inside. They’ve really paid attention to the presentation, with each surprise wrapped in pretty tissue paper and neatly boxed in contrasting colours. I think that it stands out as a rather good buy in what has become an absolute mayhem of advent calendars. It’s £79 here* and the contents are apparently worth over £300. It would make a great gift (as would all of the beauty morsels on this page) and the drawers, though made from cardboard, would make quite handy storage for makeup brushes and so on if you were in need of some organisation..